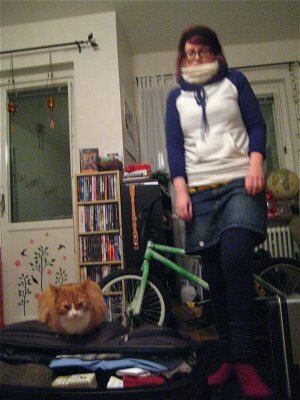 My dear friend Emma Pettersson and her cat Skrållan, whose hair is still all over my stuff. This was the third occasion in a year’s time that I have stayed in her Malmö apartment. We also met up last summer when she and fellow Malmö friend Wictoria Trei were visiting New York City. 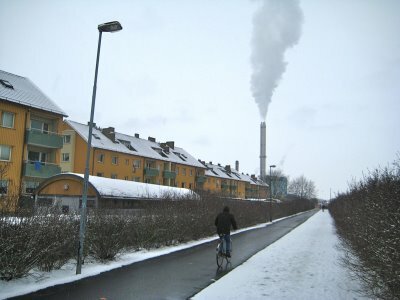 The cold scene on the bicycle/pedestrian lane near Emma’s apartment. It’s a long way from New York last July when it was so hot and sunny that we were sweating all day and had sunburns at night. 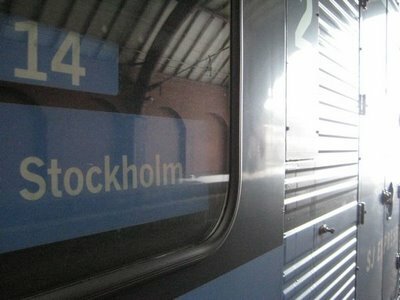 The train I rode from Malmö to Stockholm.